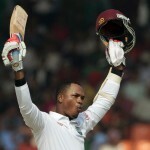 West Indies managed 217 runs before their innings was rolled back with 12 balls to spare out of the quota of 50 overs. Bangladesh reached the target by smashing 221 runs for the loss of 8 wickets and 36 balls to spare. Mahmudullah (Bangladesh) was declared ‘Player of the match’ for his all round performance in the game. Mushfiqur Rahim (Bangladesh) was declared ‘Player of the series’ for his excellent leadership and smart batting. The fifth and final One Day International of the series was played on Saturday, December 8, 2012, at Shere Bangla National Stadium, Mirpur. Mushfiqur Rahim won the toss for Bangladesh and offered the batting to West Indies. The decision proved vital when they removed three top order batsmen of West Indies for 17 mere runs in 7.2 overs. Kieran Powell was gone for 11 runs, Chris Gayle scored just two and Marlon Samuels was run out at just one. Darren Bravo and Kieron Pollard held the innings together as the first hit a couple of fours until the 10th over and Pollard hit the first six of the match in the next over. Pollard dispatched two consecutive sixes off Elias Sunny in the 15th over and added another in the following over. Bravo was dropped on the second ball of the 23rd over by Nassir Hossain off Elias Sunny at 16 as Kierin Pollard plundered his sixth ODI fifty two balls later with a six. The first hundred of the innings appeared on board with another six by Pollard in the same over as Bravo kept on crawling at the other end. The bowlers of the Bengal Tigers found them at the mercy of Pollard who was slaughtering them at will. The fourth wicket association took the score to 149 in 31.5 overs when Kieron Pollard was clean bowled by Miminul Haque for 85 off 74 balls with 8 mighty sixes and 5 fours. Darren Sammy was gone for two runs as Devon Thomas got together with the smooth going Darren Bravo who achieved his seventh ODI half century in the 38th over. Thomas hit 2 fours in the 40th over as Darren Bravo was caught by Mominul Haque at short cover off Mahmudullah for 51 from 108 deliveries with 1 six and 3 fours. Devon Thomas scored 25 runs before the Windies were bowled out for 217 runs in 48 overs. Shafiul Islam was the pick of the bowlers with three wickets, Mahmudullah and Mominul Haque shared two each whereas Sohag Gazi claimed one wicket. Bangladesh had a dismal start as Kemar Roach got rid of both their openers, Tamim Iqbal and Anamul Haque, for just nine runs in the first three overs. Jahurul Islam and Mushfiqur Rahim got together in the centre but just added 21 runs to the score as the first was caught behind by the wicketkeeper Devon Thomas off Kemar Roach for 10. The batsman in-form, Mahmudullah associated with Mushfiqur Rahim and they scored 13 runs in the 9th over with 2 fours. The duo opted to attack, hit 2 fours each in the next two overs and tried to take back the initiative from the Windies. They kept on consolidating the innings and crossed the hundred runs mark in the 18th over. Mahmudullah accumulated another 4 fours but Sunil Narine destroyed his wood at 48 off 45 with 7 fours. The fourth wicket fell at 121 as Narine struck again and removed the bails of Mushfiqur Rehman after the addition of 12 runs to the score when the batsman had scored 44 off 56 comprising 7 fours. Nasir Hossain and Mominul Haque took over the challenge when the hosts required 84 to win the match from the last 25 overs. That was not a big task and both batsmen kept marching towards the target without taking any risk. The fifty of the partnership was attained in a grand style when Nasir Hossain sent the third ball of the 38th over flying over the rope for a six. The sixth wicket partnership was broken on the first ball of the next over at 186 as Mominul Haque was declared leg before wicket off Sunil Narine for 25 runs. The next batsman Sohag Gazi slogged 2 fours on the first three balls of the 40th over but was dropped on the fourth delivery by the bowler Veerasammy Permaul as the home side reached 200 in the same over. He was caught behind by Thomas off Roach for 19 and the Bengal Tigers required another four runs to win the match. Abdur Razzk was gone for a duck as Elias Sunny walked in and Nasir Hossain hit the winning four runs on the last ball of the 44th over. Bangladesh achieved the target by scoring 221 runs with two wickets still in hand as Nasir Hossain remained unbeaten for 39 from 52 balls with 1 six and 2 fours. Kemar Roach was the star performer with the ball by grabbing five wickets and Sunil Narine got three. Bangladesh won the fifth One Day International by a close margin of two wickets and lifted the Sahara Cup after beating West Indies 3-2 in the series.